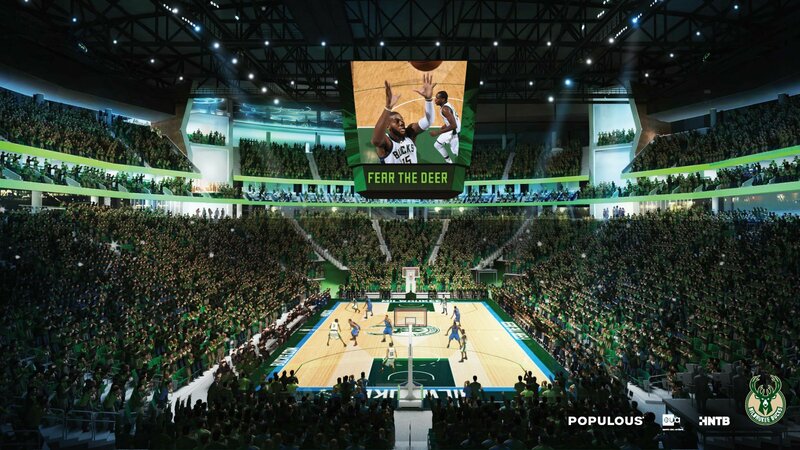 The seating environment of the new arena will be intimate for all events and intimidating for visiting NBA teams and Marquette opponents. Both seating tiers are top-loaded which minimizes breaks in the seating and thereby maximizes overall seating density. Premium seating is limited to courtside and sideline areas of the lower bowl and a single level of suites and theatre boxes sandwiched between the two seating tiers. Vertical structure in the four corners of the bowl is designed to limit roof spans. The two east towers (facing stage end for concerts) are sculpted and activated at multiple levels as unique premium or hospitality environments and the one-of-a-kind Panorama Club perches above the upper seating tier. Envisioned as a true “every-fan” club, this unique experience will offer fans views to the playing floor as well as panoramic exterior city views and an exterior balcony to the east.